and a beautiful Prima bloom and metal bird cage. Maja designs Vintage Spring Basics Collection. this was such a fun project to create. perfectly, pure bliss to work with . Oh my... This is stunning. So gorgeous! LOVING the flower and birdcage!!!! Stunning!!! (as always) I just love all the layers. Just wonderful! Love all the swirls and flourishes, truly amazing work! Absolutely gorgeous. I can just imagine the delight of the recipient of this card. Beautifully layered. Wonderful card! Love that eye catching flower in the center and the pocket on the inside looks great! stunning card Heather!! I just love it so much!! and congrats on your GD at Maja Designs!! Such pretty colours and so much detail for a card; this is beautiful. This is just gorgeous Heather. Your card is absolute perfection!!! Oh my goodness, just way too gorgeous!!!! This is just delightful, I love that you have included the sentiment inside! 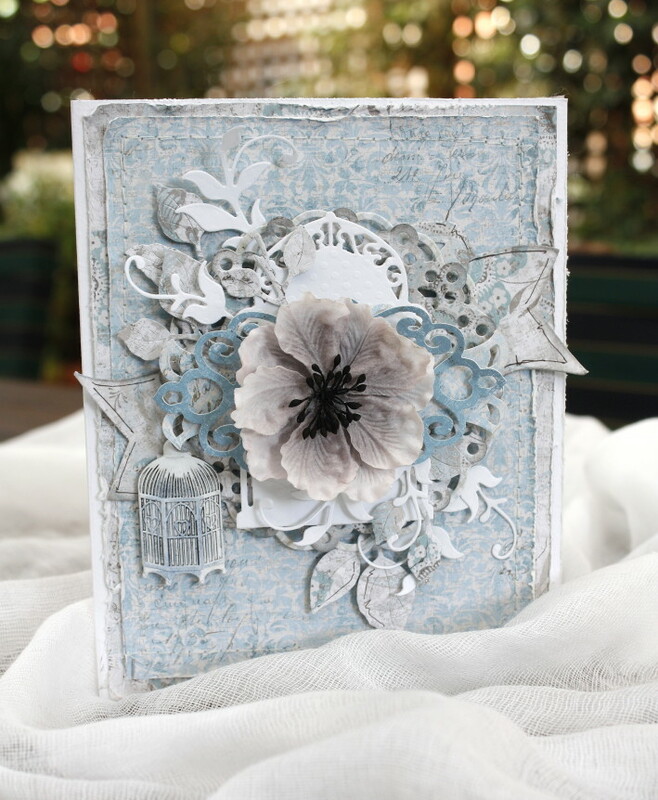 Super stunning card full of your signature touches. Your blog makeover looks just YOU too!! Great sentiment!! Is it possible to tell us where you found this? Lovely art thanks for sharing such a beautiful cards i must go to buy Toner Cartridges to start printing these lovely cards my toner was empty from last two weeks.